Added on November 8, 2018 by michael rees. @ the Nerman Museum of Contemporary Art as part of Open Spaces Kansas City. Combining science fiction and pastoral imagery, Rees' monumental inflatable vinyl cubes are visually astounding. Using tablet computers included in the exhibition, visitors engage with augmented reality activated by images applied to the vinyl sculpture walls. Exhibition Essay: “Contagious Codes and Plastic Vistions” is written by Mara-Johana Kölmel, art historian and curator, London. 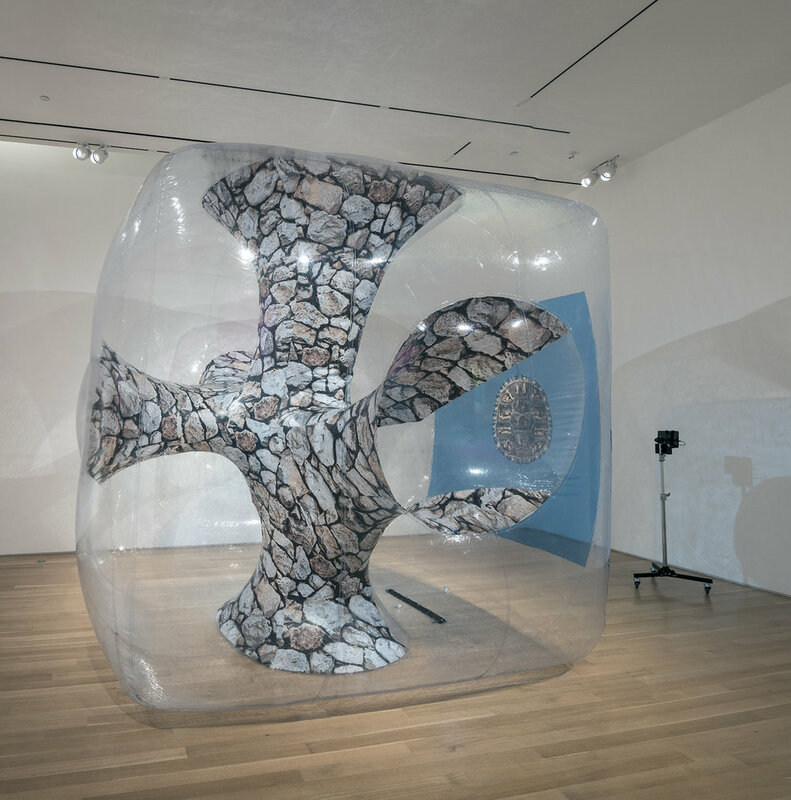 Rees has gained considerable recognition for his use of digital media in sculpture. He was born in Kansas City, Missouri, and graduated from the Kansas City Art Institute in 1982. He went on to earn an MFA from Yale University in 1989. Rees was a Charlotte Street Foundation Visual Arts Fellow in 1999. He currently lives in North Bergen, New Jersey, and is a Professor of Sculpture and Digital Media at William Paterson University and the Director for the Center for New Art. 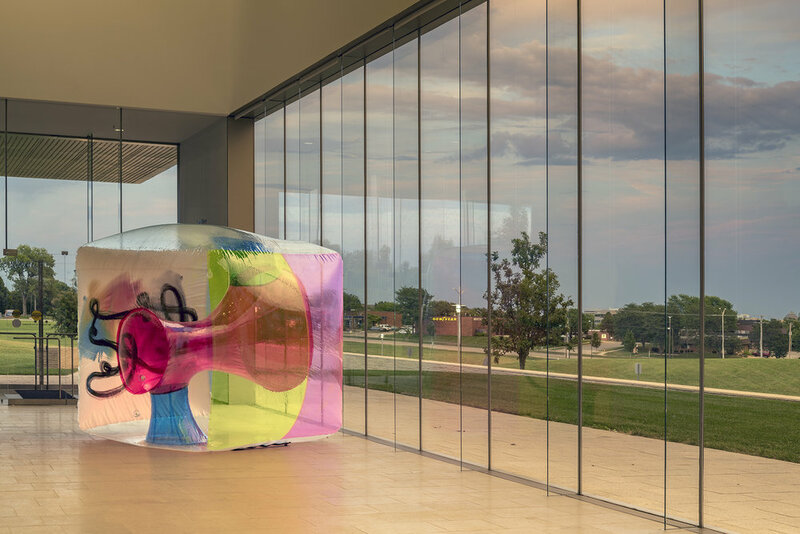 He has shown work in public venues including the Whitney Museum, Columbus Circle and The Museum of Art and Design, New York; and at Grounds for Sculpture, Hamilton Township, New Jersey. His work was featured in the 1996 group exhibition Perspective - Kansas City, curated by Dan Cameron, at the former JCCC Gallery of Art. 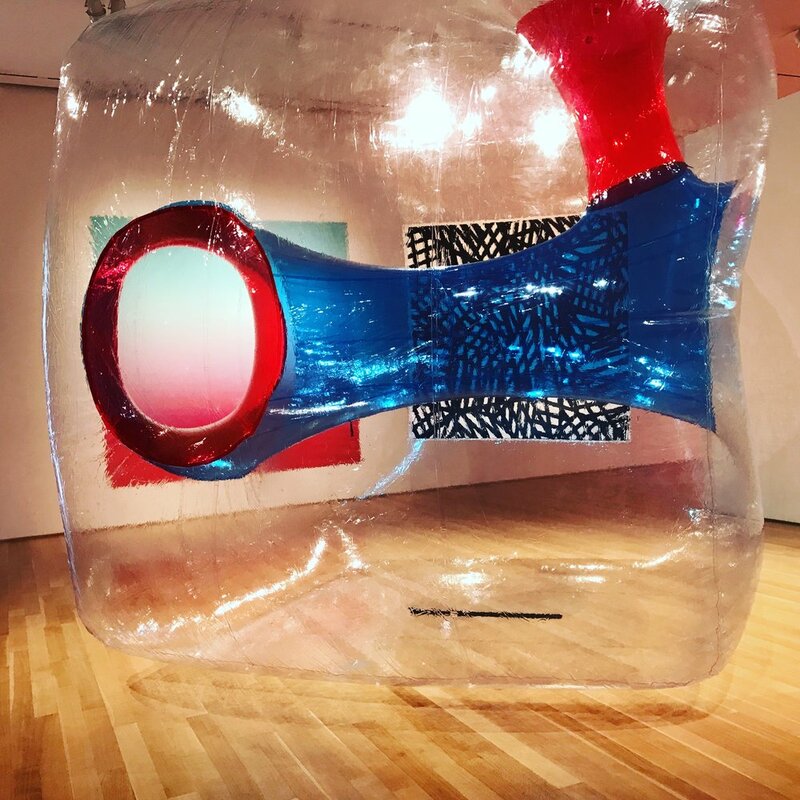 The Nerman Museum is honored that the exhibition Pneumatopia is officially part of Open Spaces, a citywide celebration of the arts that inaugurates August 25 and continues through October 28. Open Spaces features 40 visual artists/teams from across the globe who have installed works throughout the Kansas City area. Additionally, 57 performing artists/groups comprise yet another aspect of this extraordinary arts experience. Renowned New York-based curator Dan Cameron served as advisor and organizer for Open Spaces. 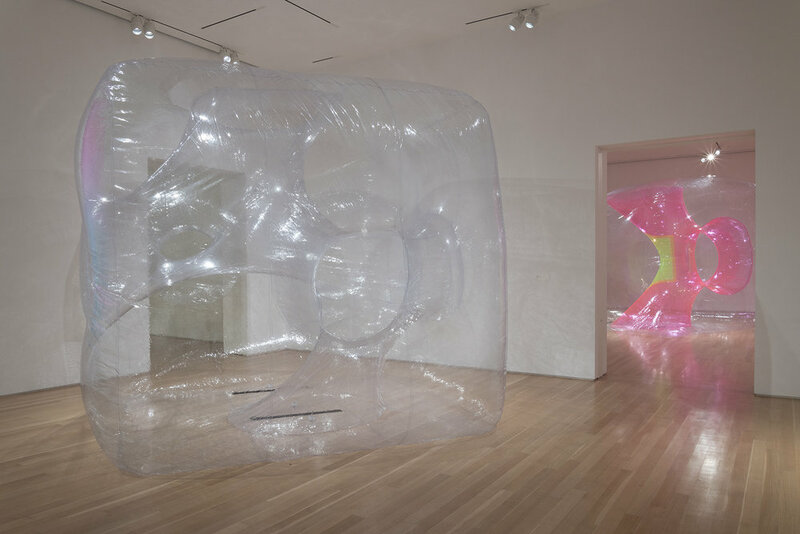 Special thanks to Grounds for Sculpture, New Jersey, for providing the lead support to create Rees’ inflatable sculptures with augmented reality interface for his exhibition Synthetic Cells: Site and Para(Site). These sculptures are a speculative investigation that is part science fiction, part architecture and part pastoral. 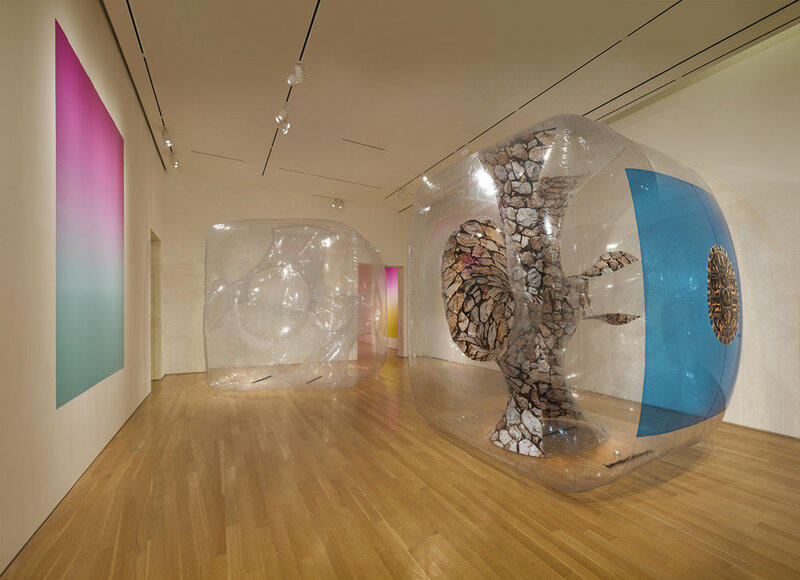 They are abstract and extended almost to immateriality and composed of images, virtual objects, animations, and an interactive app accessed by digital tablets. While monumental in scale, they are largely air. I place strange experiences in a conflicting context to create novel interactions in the mind. These pneumatic structures are open-ended and they change as we move around them. My ideal scenario with the viewer is that we will look together into the theater of my invented space to find what might be there for both of us. I’ve developed a sculptural practice that weaves experiences together in a contemplative mélange against the backdrop of the complexity of contemporary life. My work deals with the nature of things, philosophical and otherwise, in contrast to the absurdity and beauty of life. These forms coalesce around thoughts and actions — each an ephemeral construct. The work takes place within dimensional space. My subjects are the incongruent spaces of computer representation, the collision of utopian technologies, plus animals and insects commensal with humans. Pneumatopia should hold something else, though, something akin to joy. I aspire that you will be moved, as if you had seen a flock of butterflies. These experiences hold so much and connect to so many ideas, yet to detail them might be tedious and futile. Content fades to a glimpse of some heretofore impossibility at the edge of your thoughts. Added on November 7, 2018 by michael rees.